Best wish’s from the team for 2018 we hope you all have a great year and we are looking forward to guiding all our guests in 2018. It’s hard to believe that we are now in 2018. We have had a busy December and New Year period and got blessed by some fantastic weather to see the new year in. 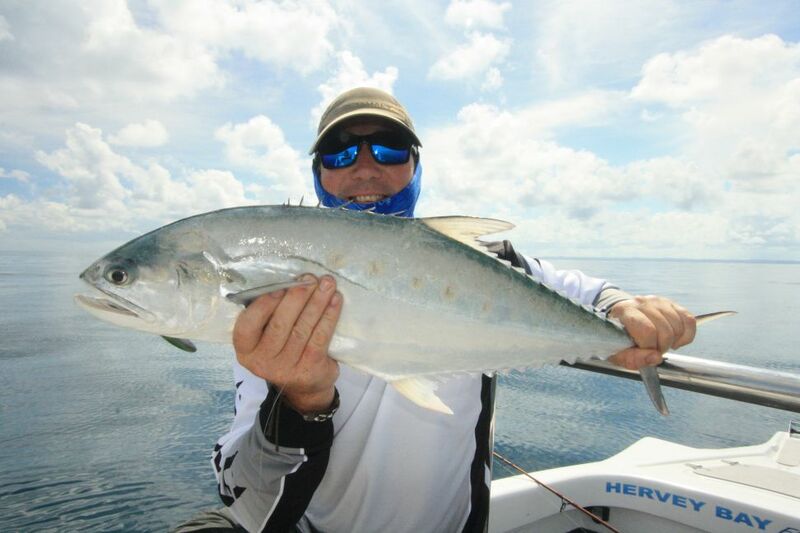 The fishing was generally good with plenty of spotted mackerel keeping anglers buys between other species. 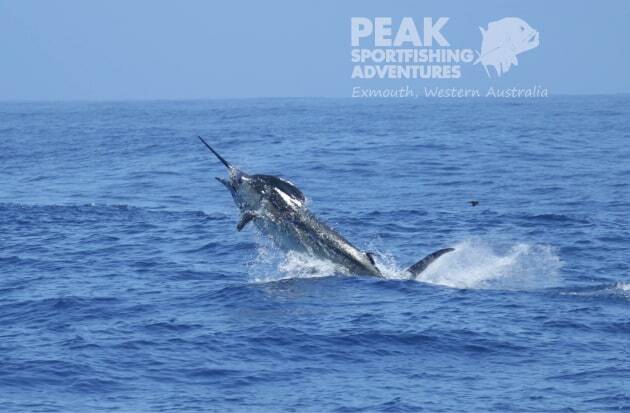 Small black marlin continued their run right through December with regular sightings and hook ups. 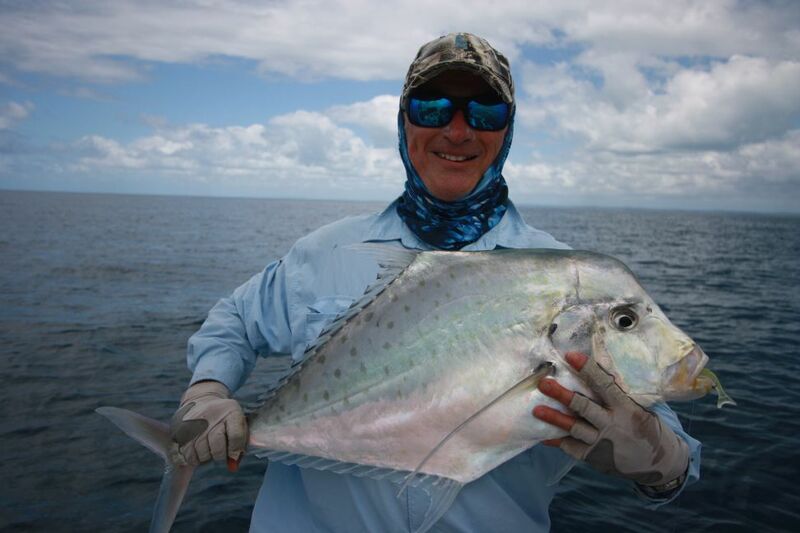 Big golden trevally, queenfish, mackerel,longtail and mac tuna were also about making for some great sessions on the water. Working soft plastics under the mackerel schools produced some good captures. 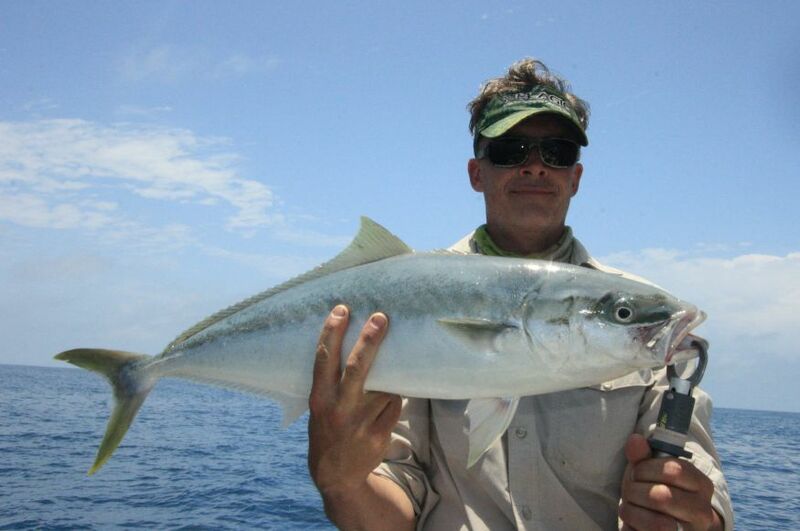 Trevally, broad bar mackerel, mac tuna and longtails were hooked under the spotty mackerel schools at times. 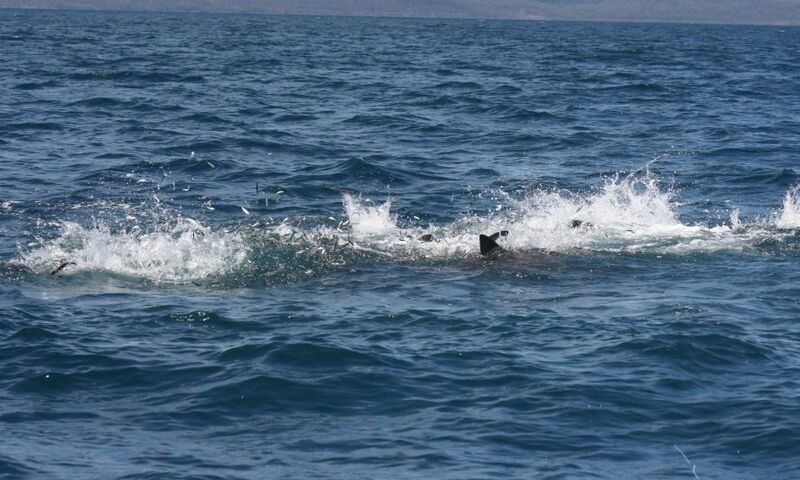 Guests enjoyed the visual strikes of our spotted mackerel as they ball the bait up. Small slugs were a winner but for those interested in a little more top water action , small stick baits provided some fun. 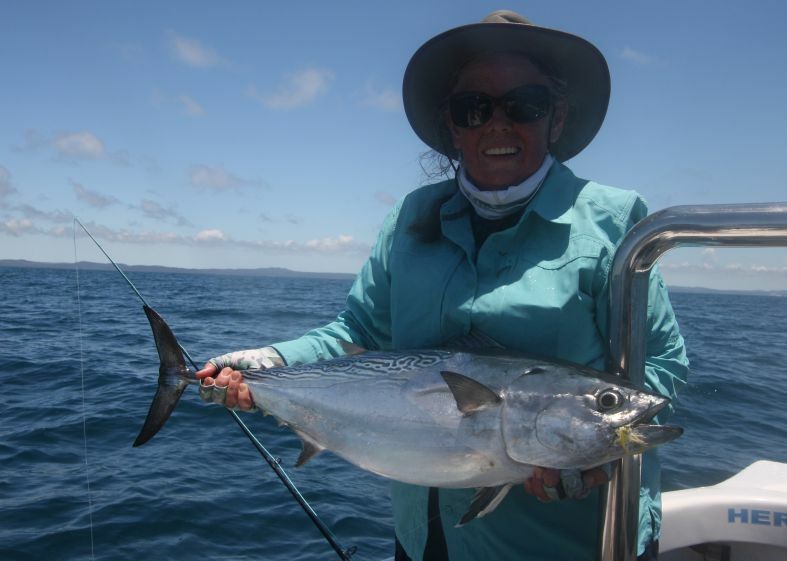 Fly anglers didn’t miss out, the bait balls made for some great fly fishing with longtail tuna, mac tuna and spotted mackerel in the mix. 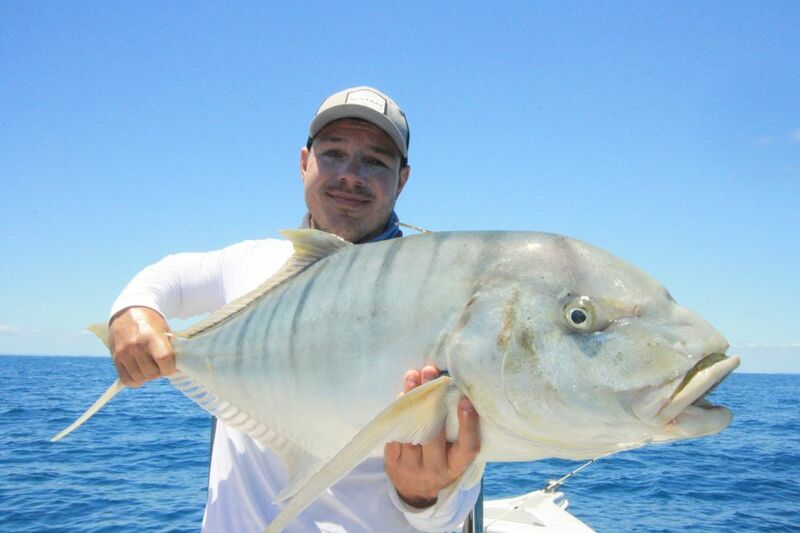 The flats also produced some queenfish, small golden trevally and bastards. 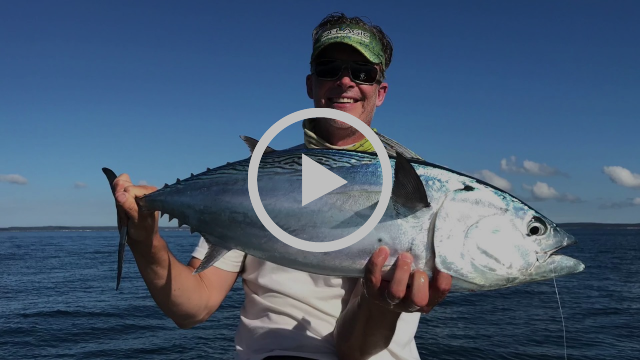 As we move into January, spotted mackerel will continue to be in good numbers for a few more weeks before they make way for our longtail tuna migration. Judging by the mackerel season I am expecting a healthy longtail tuna season. 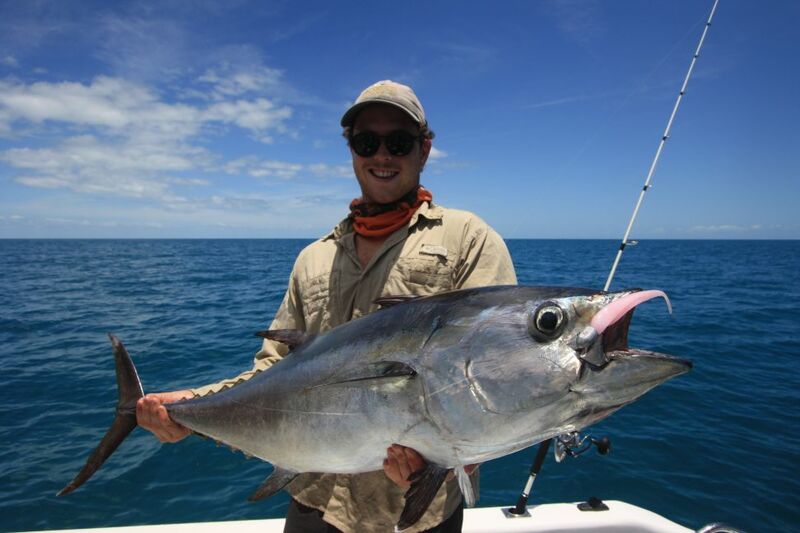 Queenfish will also begin to turn up in bigger numbers over the coming weeks and will start to show up in a few likely spots. 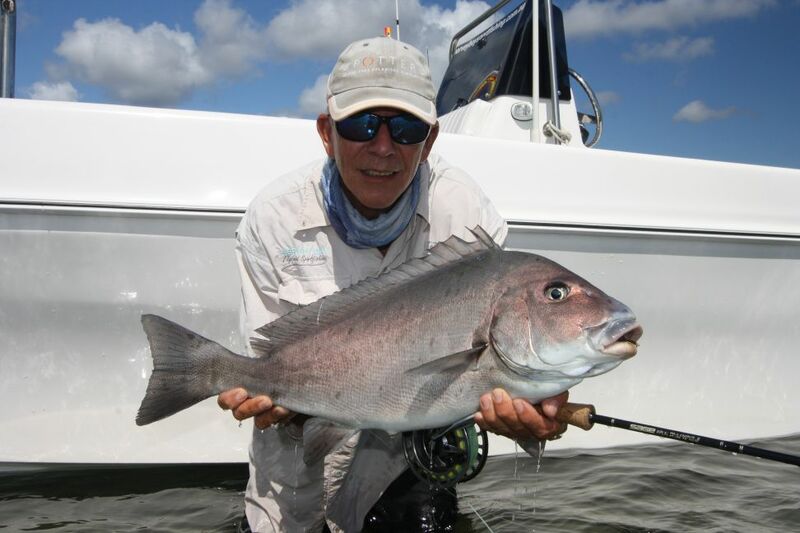 The flats will also see some good fishing for both lure and fly anglers as golden trevally, queenfish, bastards and longtail tuna move across them. 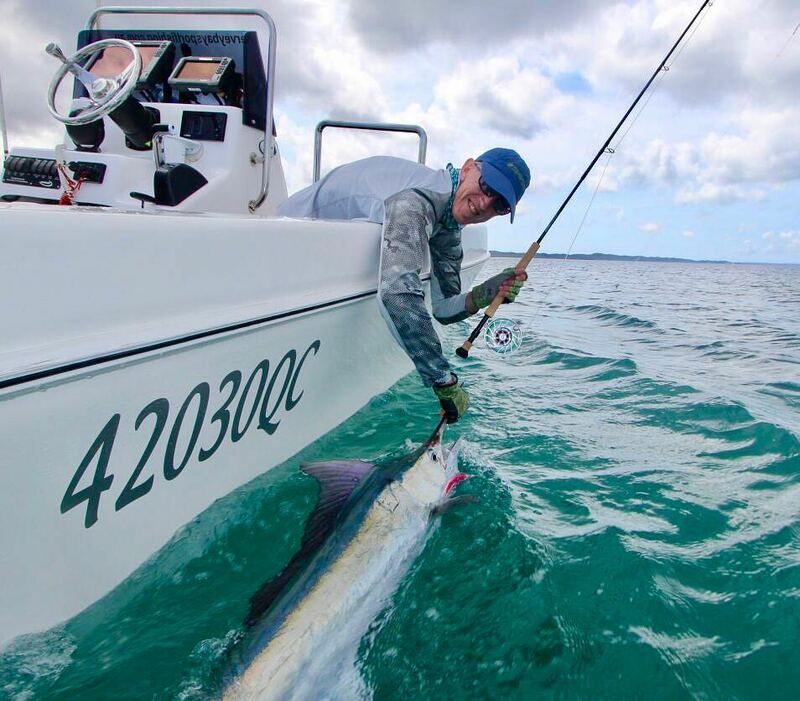 Longtail season is almost here, book your dates today. There will be some upgrades at the ramps we use at Urangan over the coming months, below is from the State Government website on what they are doing. This will impact us a little bit with possibly longer wait times at the ramp as they will shut one of the two ramps down at a time. 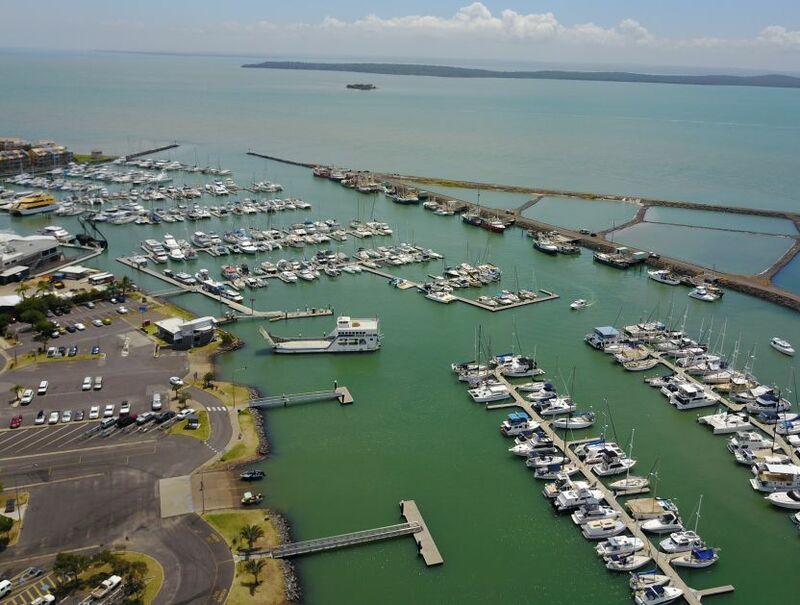 Project overview The Department of Transport and Main Roads will be upgrading two Urangan boat ramps early in 2018. The new facilities will improve safety at the ramps and make it easier for boats to launch and access the waterways. New floating walkways will be constructed to improve access and safety for all users. Construction is scheduled to commence late January 2018 and will take about two months to complete, weather permitting. 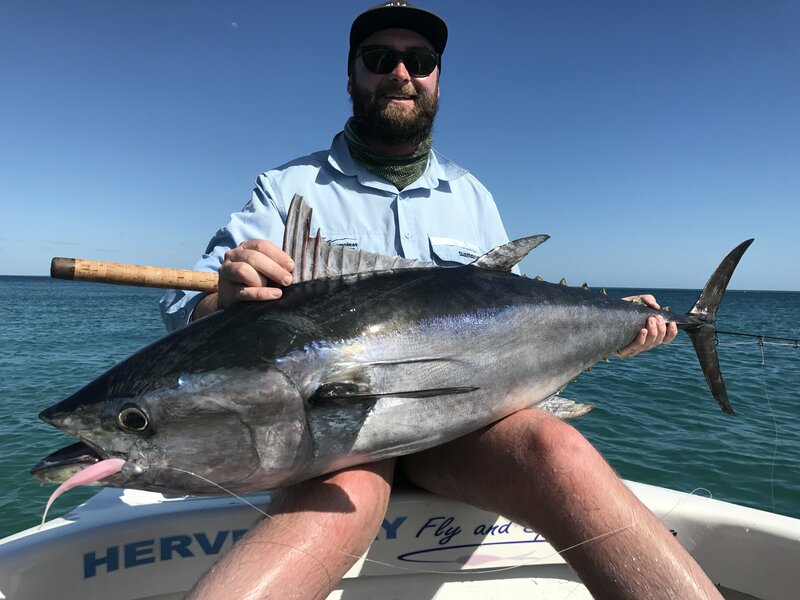 Australia’s first 1000 pound blue marlin has been landed off Exmouth, Western Australia, by Captain Eddy Lawler and his crew from Peak Sportfishing. The massive fish weighed in at 1089.7lb (494.3 kg). Congrats to Eddy, crew and the angler Clay Hilbert on this massive first. Well done to the boys over in the west ! 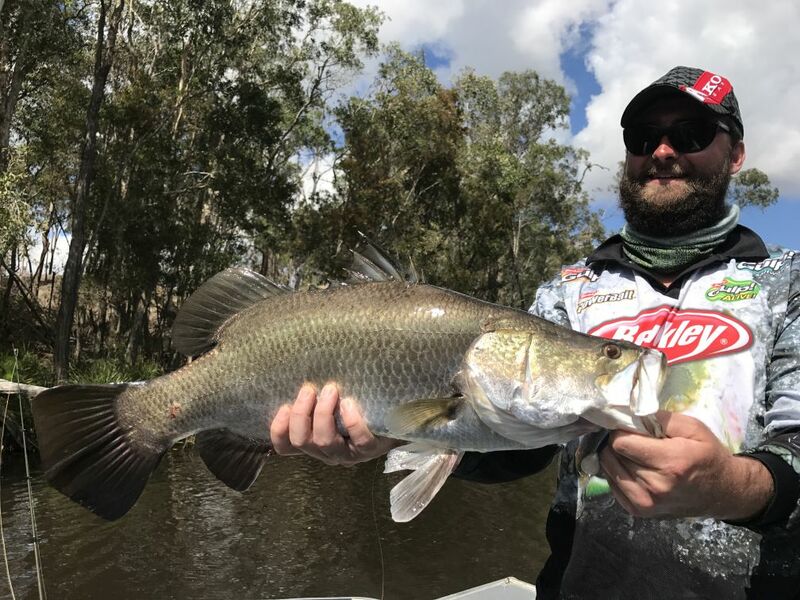 Queensland anglers can get their rods and lines back out for the barramundi season which re-opened’s at midday 1st February. The closure coincides with spawning periods and protects barramundi stocks during this vulnerable period of their life cycle. 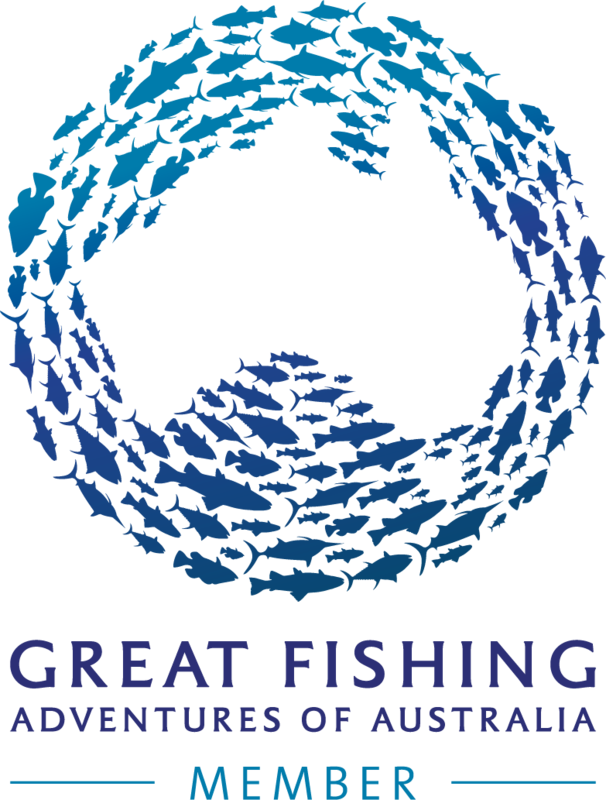 The closed season allows them to spawn and replenish to ensure healthy fish stocks for current and future generations of Queenslanders. 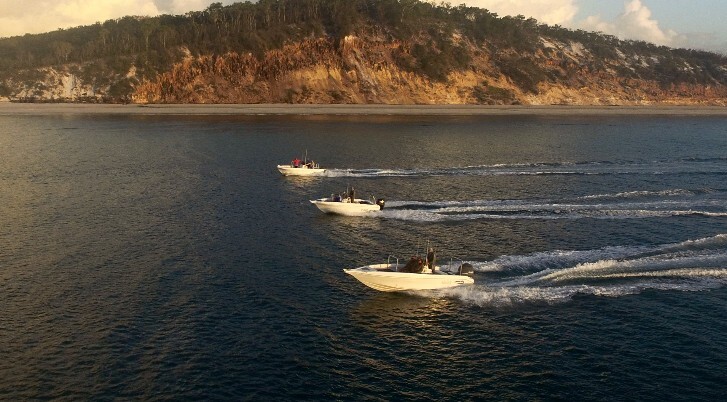 Getting the basics perfected will help you get the most out of your guided fishing trip.Good casting is very important this time of year this video demonstrates a good casting technique suited to casting lures and pelagics. Check out Al MacDougall’s clip he put together from his trip with us. Well done Al !